For some time I have been interested in consumption, and particularly the food industry. Following books such as Tescopoly and watching films such as Food, Inc., I have entrenched my view that there is something deeply wrong with our present over-consumption, and more importantly our relationship with supermarkets. This is a topic that has seen increasing prevalence in the media too, from the BBC’s Today Programme to the Guardian in recent times. Campaign Against Another Supermarket in Hadleigh (CAASH) demonstrated that over 150 jobs would go if a new supermarket was built. 56 per cent of the town opposed a new supermarket. Residents Against Thundering Rattling Unbearable Noise (RATRUN) exists to expose the true cost to Harlow’s residents of the Tesco HGV network. People In North Berwick Against Tesco (PINBAT) co-ordinated a raft of objections to East Lothian Council to prevent a new Tesco store. A Colchester campaign called TESCNO called for the planned city-centre Tesco to be abandoned in 2006 – successfully. Other campaigns include Hereford Against Supermarkets Squashing our Local Economy (HASSLE), Community Has Rights In School Sites (CHRISS) and Unthank Road. These are but small examples from the backlash against supermarkets. 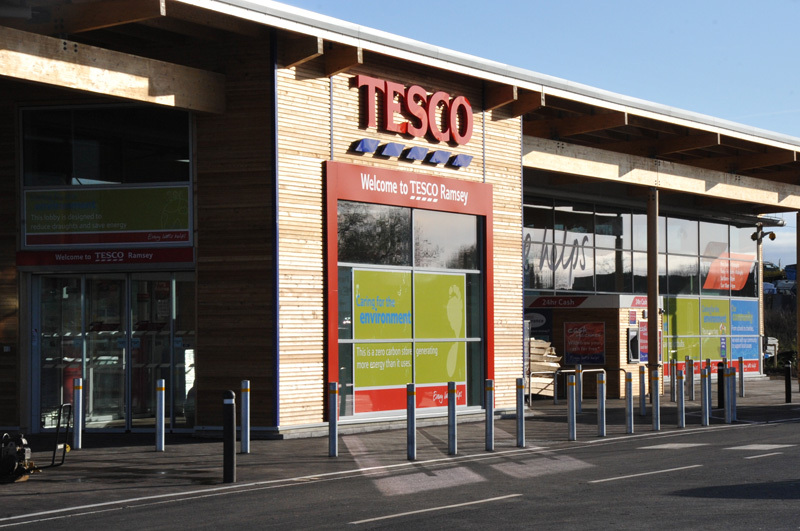 Tesco has been targeted particularly because of the damage it causes through it’s aggressive buying and selling – it has not outstripped the other retailers for no reason. Loss of diversity. Chain stores, and particularly supermarkets, are killing of independent high streets. Recently, the BBC Today Programme has investigated the vibrancy of local markets, and how supermarkets are the largest contributor to their slow extinction. This must change – we ought to encourage local businesses of all types. I want an end to clone towns. A chilling monopoly. Tesco and Asda/Wal-Mart combined control 48 per cent of the British grocery market. The Competition Commission has called this a ‘complex monopoly situation’. This is unacceptable. Do I need to mention the fact that Tesco also provides a service from cradle-to-grave, at the expense of local retailers? Identity theft. In my previous article in which I have reviewed Andrew Simms’ Tescopoly, there is a section on privacy. In effect, Tesco is creating a commercial panopticon, accumulating more data than the East German Stasi. Supermarkets do not support the local economy. Profits made from a store go to head office, and do not trickle back into the community. A supermarket may create local jobs, but only at a cost of closing down independent businesses (which will also off-set any new jobs created). For example, CAASH (see above) calculated 150 jobs would be lost by a new store. The high cost to our low prices. We may be able to pick up a bunch of bananas for £1.19, but the the profits do not end up at the producer: just over 12 pence would go to the producing country. Tesco and others abuse food suppliers on a global scale, and our relationship to cheap food must change. We are deferring the costs through time (the future) and space (to the developing world). This may not be an exhaustive list. If anything, it is very short and obviously people can try to take issue with some (all) of them. But I have had enough of Tesco, of clone towns, and of supermarkets. Evidently I can’t live without them – supermarkets have made that impossible – on a realistic level. However, where I can, I will shop local. BBC Today Programme, 29 August 2011: ‘Bristol road’s ‘bright retail future’’ and ‘Britain’s favourite High Street?’. See the report by the Competition Commission here. Peter Dauvergne, The Shadows of Consumption, p.19. Jules Petty and Tim Land, ‘Farm costs and food miles: an assessment of the full cost of the UK weekly food basket’, Food Policy 30:1 (2005).